Get the qualified RV information you want from the company that has helped educate millions of RV owners. 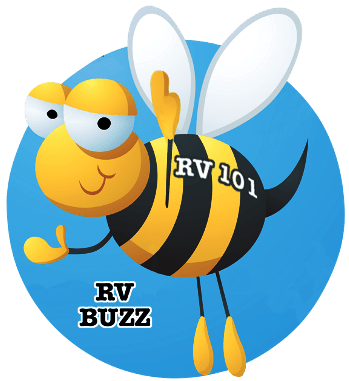 RV Education 101 offers free RV video sites, RV Blogs, RV web sites, RV online training programs, RV Consumer Digital Magazine and America’s #1 selling RV video and DVD training series. RV101.TV is the newest addition to RV Education 101’s premier RV training resources. RV101.tv offers over 135 RV videos produced by RV Education 101. The videos are arranged by category so you can easily find the RV information and help you are looking for. With over 250,000 video views already this is the place to go to learn more about DIY projects, RV products, RV installations, RV maintenance and other important RV topics. You can subscribe to RV101.tv and get notified every time a new RV video is released. Just scroll down the left sidebar and click on “Follow this Blog”. Visit the RVing with Mark Polk Blog site to get current RV news, interesting RV articles and qualified RV information. Mark’s Blog has over 100 posts separated by category so you can find exactly what you are looking for. Visit RV Education 101, America’s #1 RV video and DVD series. With 23 money-saving RV video and DVD box sets , 28 RV instant video downloads (includes download sets), 14 instant download e-books and Mark’s best-selling book “The RV Book” (over 45,000 copies sold) you’re sure to find what you are looking for. Browse the RV Education 101 Digital Product Catalog for complete product descriptions. 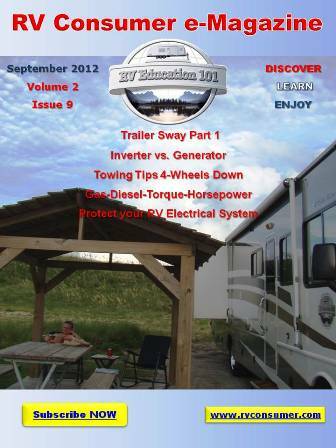 RV Consumer Magazine is a free monthly digital e-magazine published by RV Education 101. RV Consumer Magazine is designed to inform and educate the RV consumer on RV products, qualified RV information, RV videos, RV how-to topics and RV education. Sign up HERE. Now all the RV how-to videos, RV product videos, RV DIY projects, current RV news, RV articles, RV DVDs, RV books, RV e-books and instant download videos are right at your fingertips when you visit America’s #1 RV education training resource on the Internet.